The summer heat is upon us, the temperature at the West Roxbury, Ma. 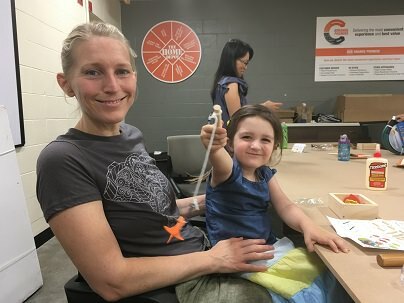 Home Depot, on Saturday soar into the 90s, an official heat wave marked the calendar; and the first Saturday of the month marks the calendar for “The Kids Workshop”. 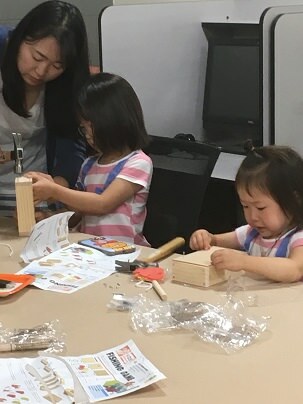 It is no “fish story” just how big, and how much the children had anticipated this workshop, the Fishing Game is a big, big, deal! 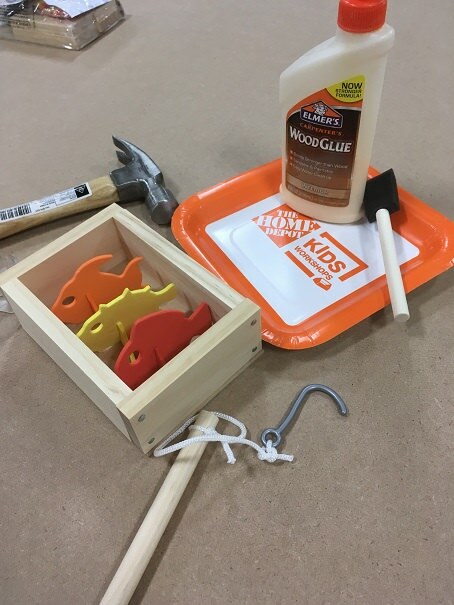 Every month the KW project is very much anticipated, but this month… the kids could hardly wait to build their “fishing game” project. 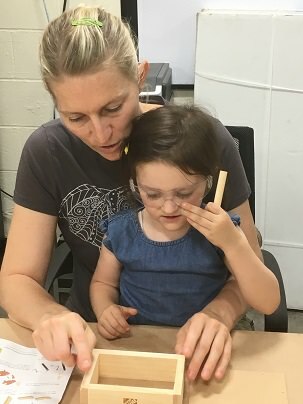 Maybe it was the challenge of actually hooking a fish, or an escape to their own tiny fishing hole, everyone thought this project was totally cool! 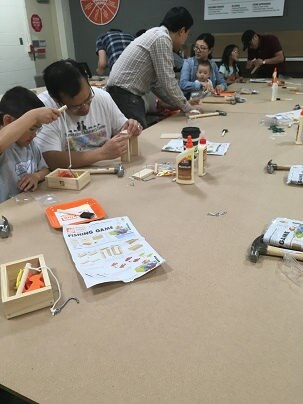 With goggles in place, the little anglers took to gluing and nailing the project together! 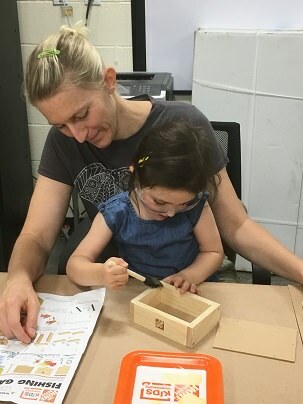 The July Kids Workshop brought a bit of tranquility (after the hammering had stopped) to all who attended, having time in the cool, air-conditioned workshop and casting a drop-line into a bin full of imagination provided all the distraction needed to “catch” a break from the heat! Do yourself a favor; take the hand of your favorite little person, and go to your local, Home Depot on the first Saturday of the month; you will “reel in” more than a good time, you will cast and create “bigger and bigger” memories that will live on longer than any fish story that you have ever heard.....believe me you will be "hooked"!